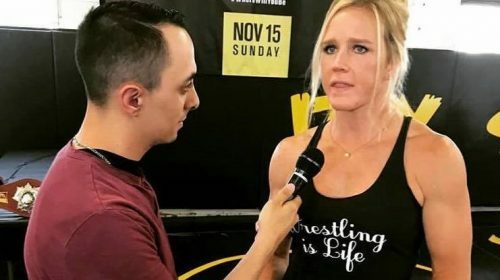 While Team Cormier improved to 4-0 on the most recent episode of TUF 27, it didn’t come without a little heartbreak for one of the already victorious fighters. It was revealed during the latest episode that Luis Pena, also known as, Violent Bob Ross, suffered a fractured foot in his win over Jose Martinez in the opening round of TUF 27. As it came to be known in his episode, Pena is known by the fight world as ‘Violent Bob Ross’, since he resembles the late artist, Bob Ross and in a sense, he paints a beautiful picture each time he steps in the cage. Like Bob Ross the artist once said, make love to the canvas and inside his own chaotic canvas, Luis Pena does just that with every strike he throws. Pena doesn’t use colored pencils or stay within the lines when he’s showcasing his masterful skills inside the cage, instead he brings all his paint tools to the center of the fight and only uses his opponent’s blood to paint the picture. When it comes to fighting, every fighter has their own set of skills but none paint a picture like Luis Pena, where he meets each and every single opponent in the middle of the cage and doesn’t shy away for one single second. Upon hearing the news from doctors about his foot, Pena rallied all of Team Cormier together outside the TUF house. With all his teammates around him, Pena gave them a motivational speech about how although he couldn’t win the tournament, he was standing behind his team and wanted them to go out and sweep the tournament against Team Miocic. Following his team’s fourth consecutive victory over Team Miocic, Pena was seen talking with UFC President Dana White who offered his condolences for the injury, but then left Pena with good news. White told Pena that he just had to heal up, and he would be place on the TUF Finale card which takes place on July 6 in Las Vegas. As Pena stated himself, he might not fight for the right to call himself “The Ultimate Fighter” but one thing he will be able to do come July 6, is show the world that Violent Bob Ross has an unfinished canvas to paint. Unfortunately, while it may be entertaining for fight fans and fans of Pena, that canvas will be painted by the violence of Pena and the blood of his opponents. 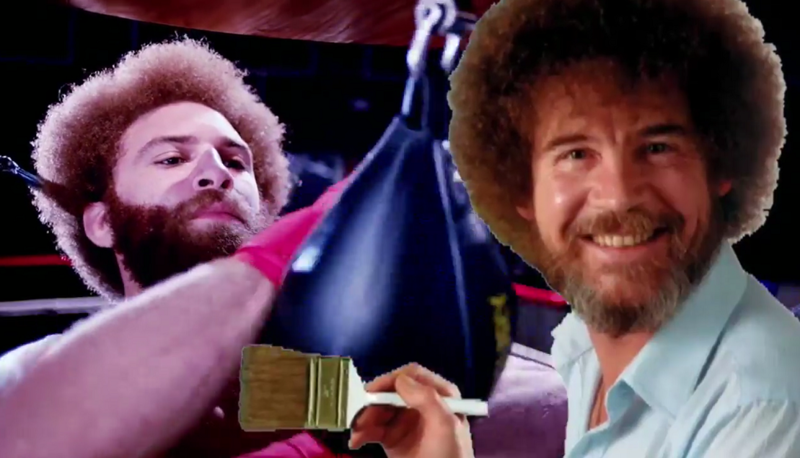 It’s a painting that only violence and perseverance could paint, and Violent Bob Ross is the only artist who could bring this artwork to the UFC.